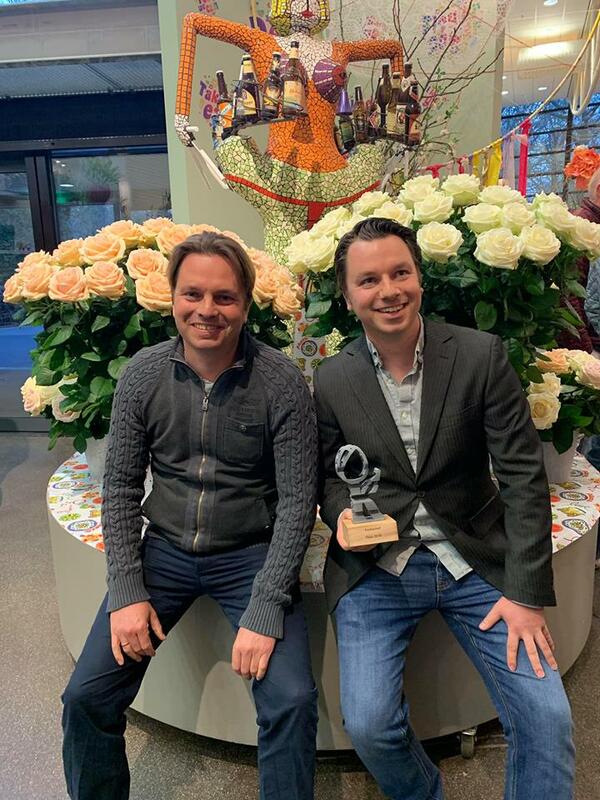 On Thursday the 11th of April the big rose show in De Keukenhof was opened and once again there were many entries with roses from Holland and abroad. More than 300 vases and more than 220 varieties. Nowadays beautiful roses are also grown outside the Netherlands. Floral designers whom we spoke to during the opening preferred to work with Dutch roses because the stems are not that woody and generally have fewer nasty thorns. Meijer is rightfully a Master Grower and we congratulate them on their well-deserved prize for quality. A grower with a story and beautiful flowers with a message. Featured in the photo are brothers John and Jeffrey Meijer.